STURTEVANT, Wis., January 14, 2010 – BRP launches the all-new Evinrude E-TEC 15-hp H.O. engine. The new engine features BRP's own Touch-Troll™ system, a 15 amp alternator and the exclusive no scheduled dealer maintenance for three years or 300 hours on its Evinrude E-TEC engines. The Evinrude E-TEC direct-injected 15-hp H.O. engine is available with an adjustable tiller handle or as a remote control model – both incorporating a high-speed tilt component, supported by a heavy duty bracket system that deploys at a speed three times that of standard systems. The exclusive Touch-Troll™ feature provides accurate electronic RPM speed control for improved fishability while, the 15 amp alternator delivers best in class charging power. 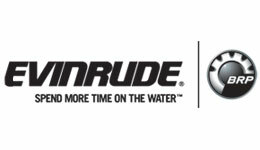 And, the Evinrude exclusive feature of no scheduled dealer maintenance for three years or 300 hours provides the most discerning angler with the added flexibility and ease of operation for a worry free, full day on the water. "We're delivering on our commitment to expand our Evinrude E-TEC line-up," stated Yves Leduc, vice president-general manager for BRP's North America division. "The new 15-hp H.O. model gives the consumer the best of both worlds – the largest displacement which delivers the maximum get-home speed and the direct-injection fuel system which offers the optimum ability for slow trolling," Leduc concluded. The Evinrude E-TEC 15-hp H.O. engine boasts many of the same features and benefits found on its bigger brothers in the Evinrude E-TEC line up. Low maintenance, including three years or 300 hours of no dealer-scheduled maintenance; cleaner and quieter performance, minimizing impact on our environment with extremely low carbon monoxide emission at idle; durability and reliability through design and components including NASA-developed alloy pistons; and, best in class performance with more displacement, high thrust reversing exhaust propeller and fast rise inductive ignition (IDI) for sure starts and longer spark plug life. All superior benefits of BRP's E-TEC technology that deliver added peace of mind and more time on the water. The Evinrude E-TEC 15-hp H.O. engine will be highlighted at select boat shows in key markets across the U.S. and Canada - the Houston International Boat Show, the Seattle Boat Show, the Minneapolis Boat Show, the Toronto International Boat Show and the Miami International Boat Show throughout January and February. The new 15-hp H.O. model will be available as a limited release production through authorized Evinrude dealers in North America beginning in May 2010. BRP's Evinrude E-TEC engine line-up now includes 98 engine models from 15- to 300-horsepower. Visit www.evinrude.com or www.repowerwithevinrude.com for more information.